Bring home Dolphin Tale's Winter the dolphin and Hazel with this moveable and collectible action figure pack! Take Winter and Hazel on adventures and make Winter jump, swim and catch fish with her moveable jaw! Be sure to grab one of her collectible friends too! 100% of the proceeds from your purchase goes directly to supporting our mission of Rescue, Rehabilitation and Release of marine life, and the long-term care of our resident animals! My daughter loves this toy ...we went to the aquarium and own the movies so I ended up buying a few more for gifts! 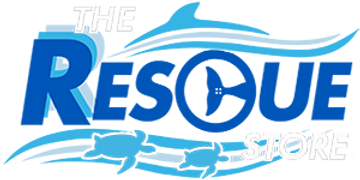 Great Fun for Young Fans of the Dolphin Tale movies! I bought these for my 7 year old granddaughter for her birthday. Huge hit, and she enjoys playing with the figures, with "Hazel" riding Winter and swimming with her, even taking them to the pool and bathtub for imaginative adventures. She loves that Winter's mouth opens and enjoys pouring water into her mouth. She already loves the movies, and now wants more action figures, including Sawyer. Both figures are super cute! Winters tale moves up and down and the mouth can open. My daughter loves them and can't wait to take them into the pool!